The following figure illustrates replaceable components related to power distribution and the fan modules. The power supplies must be partially removed from the chassis to remove this component. A plastic cover that rests on top of the CPUs. Two power supplies provide N+1 redundancy. 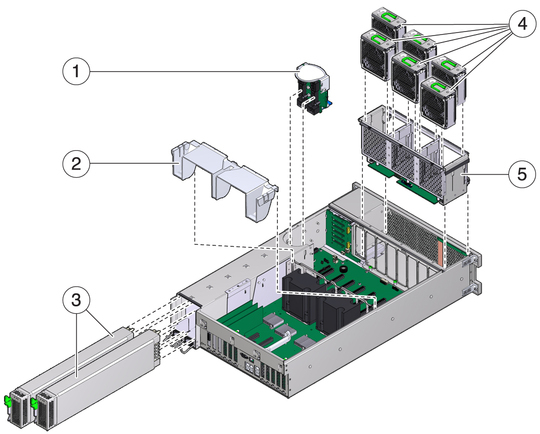 All six fan modules must be installed in the server. A single fan board attached to a fan board cage that holds the fan modules.